Is BlueLinx Holdings Inc. (NYSE:BXC) a bargain? Money managers are buying. The number of long hedge fund positions improved by 1 recently, and the company was in 12 hedge funds’ portfolios at the end of September. With only 12 hedge funds long the stock, the company didn’t stand a chance to make it as one of the 30 most popular stocks among hedge funds in Q3 of 2018. Just because the stock wasn’t part of the favorite group of stock in the third quarter, that doesn’t mean you shouldn’t consider it for your portfolio. After all, the stock has seen an increase in enthusiasm from smart money investors in recent months. That’s why in this article, we are going to take a closer look at BlueLinx Holdings Inc. (NYSE:BXC). In the eyes of most traders, hedge funds are assumed to be unimportant, outdated financial tools of years past. While there are more than 8000 funds with their doors open at present, Our researchers look at the masters of this group, approximately 700 funds. These money managers control the majority of the hedge fund industry’s total asset base, and by keeping an eye on their inimitable investments, Insider Monkey has unearthed various investment strategies that have historically beaten the S&P 500 index. Insider Monkey’s flagship hedge fund strategy outrun the S&P 500 index by 6 percentage points annually since its inception in May 2014 through early November 2018. We were able to generate large returns even by identifying short candidates. Our portfolio of short stocks lost 26.1% since February 2017 even though the market was up nearly 19% during the same period. We just shared a list of 11 short targets in our latest quarterly update. Let’s take a look at the fresh hedge fund action regarding BlueLinx Holdings Inc. (NYSE:BXC). 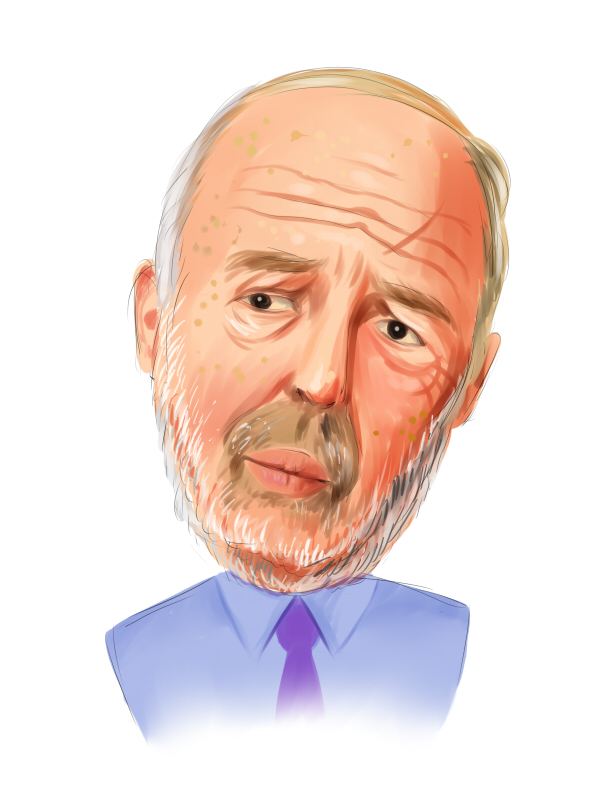 What have hedge funds been doing with BlueLinx Holdings Inc. (NYSE:BXC)? Heading into the fourth quarter of 2018, a total of 12 of the hedge funds tracked by Insider Monkey were bullish on this stock, a change of 9% from the second quarter of 2018. 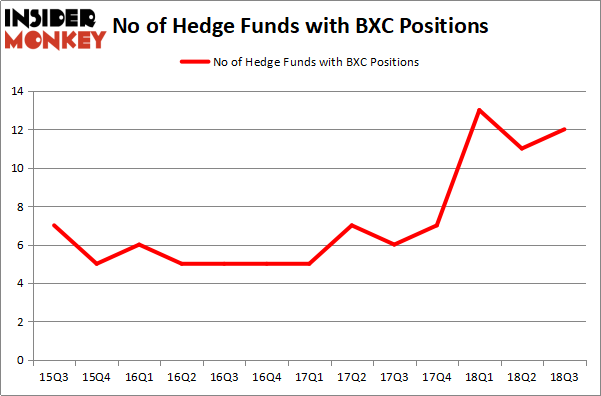 The graph below displays the number of hedge funds with bullish position in BXC over the last 13 quarters. So, let’s examine which hedge funds were among the top holders of the stock and which hedge funds were making big moves. Among these funds, Renaissance Technologies held the most valuable stake in BlueLinx Holdings Inc. (NYSE:BXC), which was worth $11.7 million at the end of the third quarter. On the second spot was Tontine Asset Management which amassed $8.5 million worth of shares. Moreover, Adage Capital Management, Venator Capital Management, and Snow Park Capital Partners were also bullish on BlueLinx Holdings Inc. (NYSE:BXC), allocating a large percentage of their portfolios to this stock. Now, key money managers were breaking ground themselves. Ancora Advisors, managed by Frederick DiSanto, established the largest position in BlueLinx Holdings Inc. (NYSE:BXC). Ancora Advisors had $3.1 million invested in the company at the end of the quarter. Brian Gaines’s Springhouse Capital Management also initiated a $1.9 million position during the quarter. The only other fund with a brand new BXC position is Austin Wiggins Hopper’s AWH Capital. Let’s now review hedge fund activity in other stocks – not necessarily in the same industry as BlueLinx Holdings Inc. (NYSE:BXC) but similarly valued. We will take a look at Industrea Acquisition Corp. (NASDAQ:INDU), Navios Maritime Partners L.P. (NYSE:NMM), Tsakos Energy Navigation Ltd. (NYSE:TNP), and Nantkwest Inc (NASDAQ:NK). This group of stocks’ market valuations match BXC’s market valuation. As you can see these stocks had an average of 7 hedge funds with bullish positions and the average amount invested in these stocks was $24 million. That figure was $50 million in BXC’s case. Industrea Acquisition Corp. (NASDAQ:INDU) is the most popular stock in this table. On the other hand Navios Maritime Partners L.P. (NYSE:NMM) is the least popular one with only 5 bullish hedge fund positions. Compared to these stocks BlueLinx Holdings Inc. (NYSE:BXC) is more popular among hedge funds. Considering that hedge funds are fond of this stock in relation to its market cap peers, it may be a good idea to analyze it in detail and potentially include it in your portfolio.